The spray mixture causes temporary incapacitation. Female employees who sell food or work as conductors on the Tokaido Shinkansen bullet trains and other Tokai trains are being given the devices. The first JR Tokai female conductors were hired in 1999 and female employees on the trains have since been required to carry personal buzzer alarms. 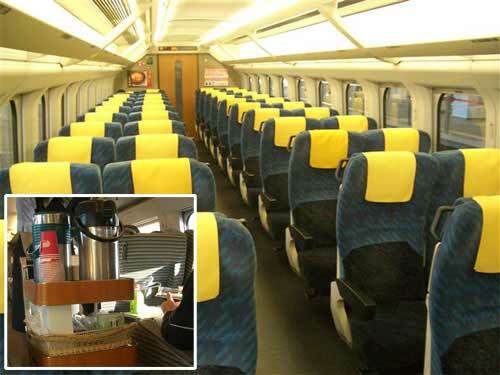 In March and April 2008, two female ‘green car’ attendants were assaulted in the first-class section of late night and early morning Shinkansen trains. JR Tokai has distributed four hundred pepper spray canisters to Shinkansen female staff. Full details and a clip from Japanese TV news are yours for the asking right here.